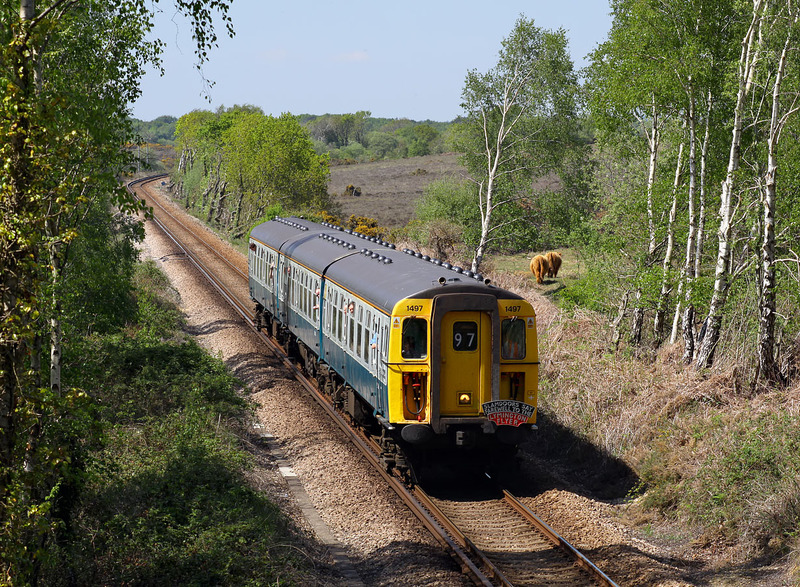 Class 421 3-CIG 1497 Freshwater approaches the occupation bridge at Milking Pound Bottom, near Battramsley on 22 May 2010 with the 1J35 14:29 Brockenhurst to Lymington Pier service, during the last day of the units operation on the branch. Note the two highland cattle wandering off in the distance. Several of these animals had crossed over the bridge while I was waiting for this train, and one of them was involved in a stand off with a couple of horse riders - neither wanting to pass on the bridge or back up!